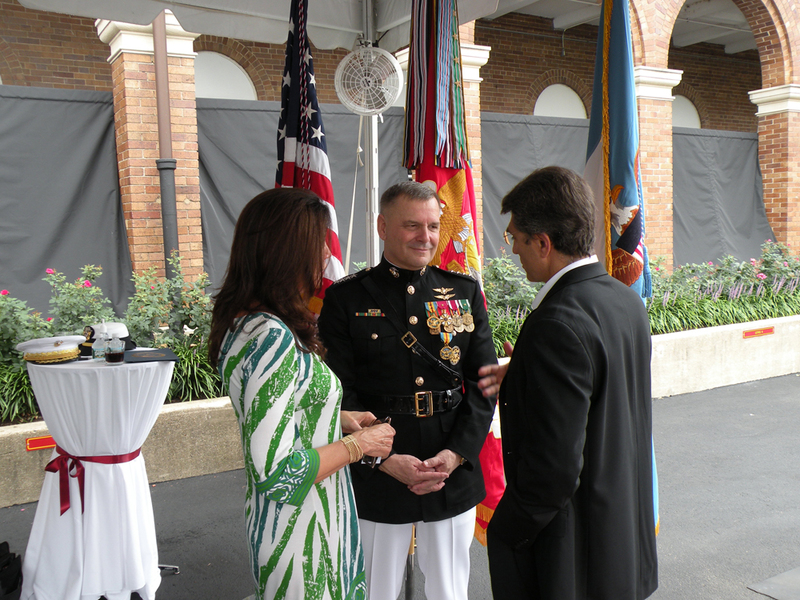 Wes and Winnie Pritchett of The CHRIS Foundation and iPads For Soldiers were honored to be a part of the farewell celebration for General James E. Cartwright, held at the Marine Corps Barracks in Washington DC on August 3rd. Cartwright, who had the aviator call sign “Hoss” from the 60’s “Bonanza” TV series, was a Four-Star General having served in the Marine Corps since 1971. The celebration was held four years to the date when Cartwright was confirmed as the 8th Vice Chairman of the Joints Chief of Staff back in 2007. Secretary of Defense Leon Panetta praised Cartwright as an aviator of “serious” intellect and one of the military’s most “original” thinkers. 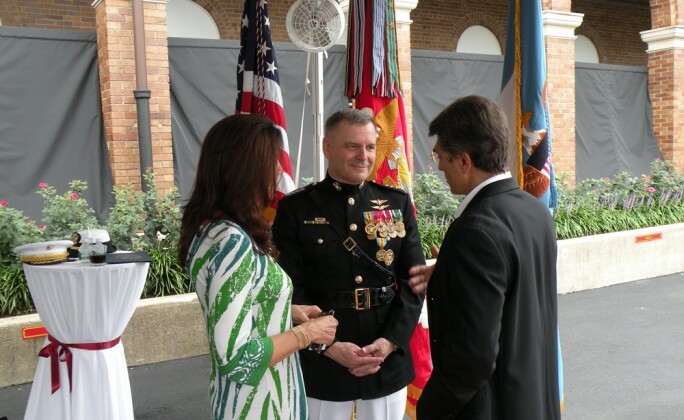 Wes and Winnie had the opportunity to personally thank him for his service to our country. Cartwright, a man dedicated to the troops, requested that in lieu of gifts, donations be made to charitable organizations that support the military like iPads For Soldiers. A sincere thank you to General Cartwright for his dedication and support and we wish him all the best in his retirement. And to all those who donated to iPads For Soldiers in his honor, we wish to extend a special thanks.